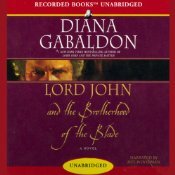 LORD JOHN AND THE BROTHERHOOD OF THE BLADE is the second Lord John Grey full-length novel. 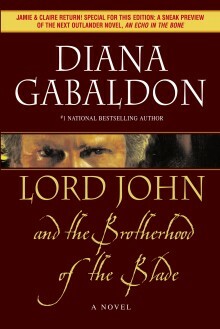 Set during the Seven Years War, Lord John Grey pursues a deadly family secret and a clandestine love affair against an eighteenth-century background of politics, treason, and battle. Seventeen years before, Grey’s father, the Duke of Pardloe, shot himself, days before he was to be accused of being a Jacobite traitor. By raising a regiment to fight at Culloden, Grey’s elder brother has succeeded in redeeming the family name, aided by Grey, now a major in that regiment. But now, on the eve of their mother’s remarriage and the regiment’s move to Germany, comes a mysterious threat that throws the matter of the Duke’s death into fresh relief, and brings the Grey brothers into conflict with the past, and with each other. Grey has other conflicts to deal with. A new stepbrother—and brother-in-arms–proves to be an acquaintance from the London shadow-world of mollies, the homosexuals whose nature is a capital crime. His mother is guarding a terrible secret. And the key to the truth seems to lie with Jamie Fraser, a Jacobite prisoner—and the man who has haunted Grey’s thoughts since the eve of Culloden. Barbarian, enemy, and dour Scot he may be, but Fraser has one overwhelming value to Grey. He is the only man John Grey can trust. From barracks and parade-grounds to the battlefields of Prussia and the remote fastness of the Lake District, Lord John’s struggle to find the truth leads him through danger and passion, ever deeper, toward the answer to the question at the center of his soul—what is it that is most important to a man? Love, loyalty, family name? Self-respect, or honesty? 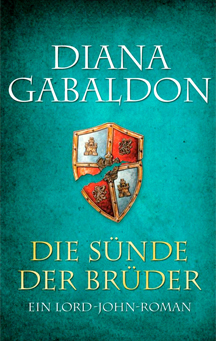 Surviving the battle of Krefeld and the noisome cells of Newgate, he returns at last to the Lake District where Jamie Fraser is held, to find the truth and face a choice between honor and life itself. 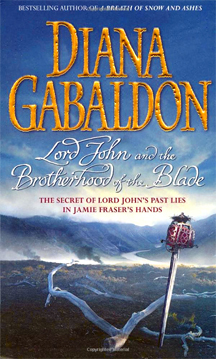 The three Lord John Grey novels (PRIVATE MATTER, BROTHERHOOD OF THE BLADE, and SCOTTISH PRISONER (released on November 29, 2011) and several novellas fall chronologically within the time-span of the third OUTLANDER novel, VOYAGER. 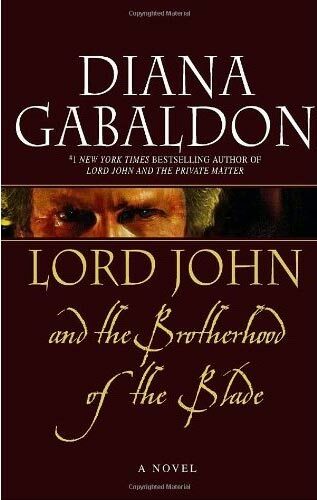 While focused on the character of Lord John, these novels reference the situations, characters, and events of the main OUTLANDER series, and are in fact part of the larger series.